Lovely character home in a quiet rural town (population of 30,000). Within walking distance (10mins) to town; beach; art gallery. Family home with back courtyard and garden - very private. Central South Island. Can see the sea and the mountains and is an easy drive to spectacular mountain scenery ( Mt Cook) and lakes. Halfway between Dunedin (2 hours south) and Christchurch (2 hours north). Christmas carnival; river and sea swimming; lovely walks;bike trails; rafting; gliding - the great outdoors beckons! The second largest city in Canterbury South Island New Zealand, Timaru is about midway between Christchurch and Dunedin. It has everything you need for a pleasant stopover. Caroline Bay has a safe swimming beach, a maze, a landscaped piazza and walks. A collection of restaurants and cafés links the beach to the main shopping area. If you’re thirsty, consider a tour of the local brewery. The city’s excellent museum has moa-hunter artefacts and all kinds of whaling relics; the art gallery holds the third largest public art collection in the South Island. Timaru has many grand Victorian and Edwardian buildings, constructed in local volcanic bluestone. 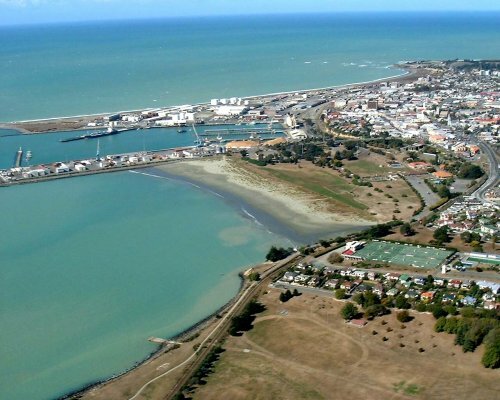 Timaru sits at the doorstep of many inland lakes where sailing, water skiing, boating, windsurfing and fishing are popular summer pastimes. 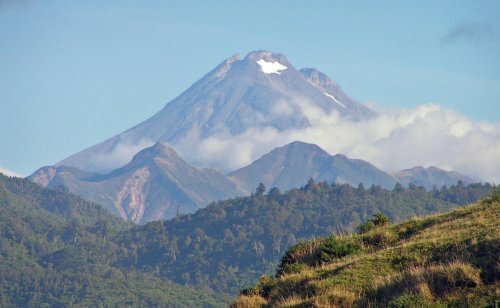 At least five Central South Island ski fields are within easy distance - all less than two hours' drive from the coast. Whether it's dropping a line from the wharf at Timaru in the hope of hooking a fish, sailing offshore on the sparkling Pacific Ocean, or tramping in nature's bush-clad hills, there's something to interest the whole family. We have children living in Hong Kong and Melbourne so Christmas means travelling to be with them. We love travelling so this is no hardship! Ken is a solicitor and I am a Geography teacher. We also have a property in a very small rural town nearby (our ski shack!) and this could be available if a different type of holiday is preferred.